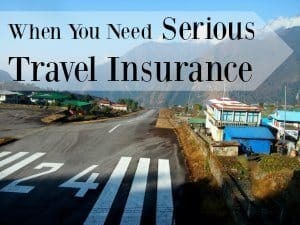 Updated 18/04/2019 By D for World Travel Family. Any post on this site may contain affiliate links. If you use them, they cost you nothing extra. We make a small commission. The Three Kings Monument Square in Chiang Mai Thailand is a large open square in the heart of the walled Old Town. 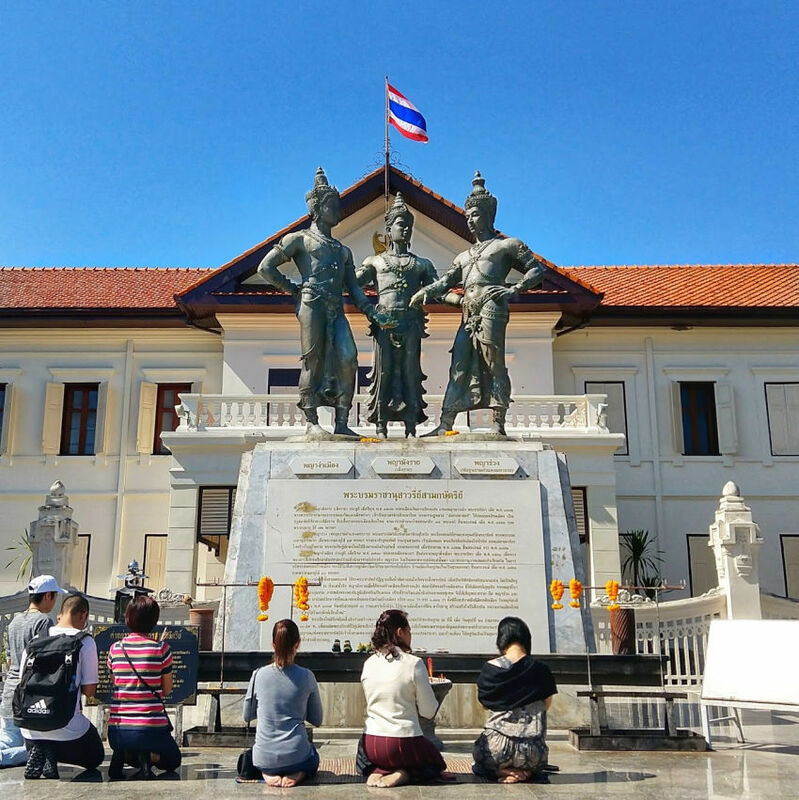 The statue portrays the three founders of Chiang Mai, King Mengrai, King Ramkhamhaeng and King Ngam Muang. King Mengrai ruled Lanna, King Ngam Muang was ruler of Phayao and King Ramkhamhaeng was King of Sukhothai Kingdom. I was interested in the statue, the history behind it and its cultural significance so I did some digging and constructed this masterpiece. As we travelled around Thailand we saw more statues of these famous kings, visited their ancient cities and delved deeper into Thai history. This post was written by D, age 14. The three kings monument square and the famous three kings statue. 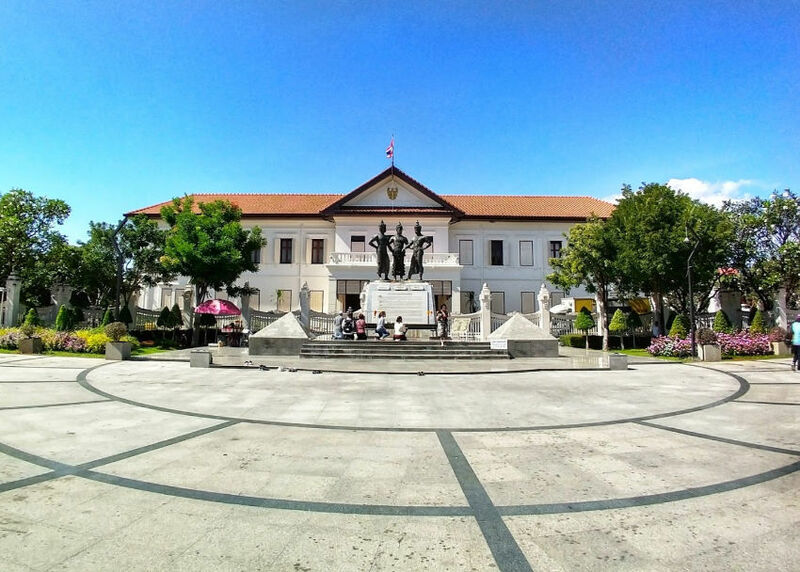 Three Kings Monument Square was made in 1984 as a tribute to the three founders of Chiang Mai. The statue itself is made of bronze and is located in front of Chiang Mai Cultural Center. The People of Thailand show great respect to the monument of the three kings. Chiang Mai was Founded by King Mengrai in 1296 and fell to the Burmese in 1558 without them even putting up a fight. 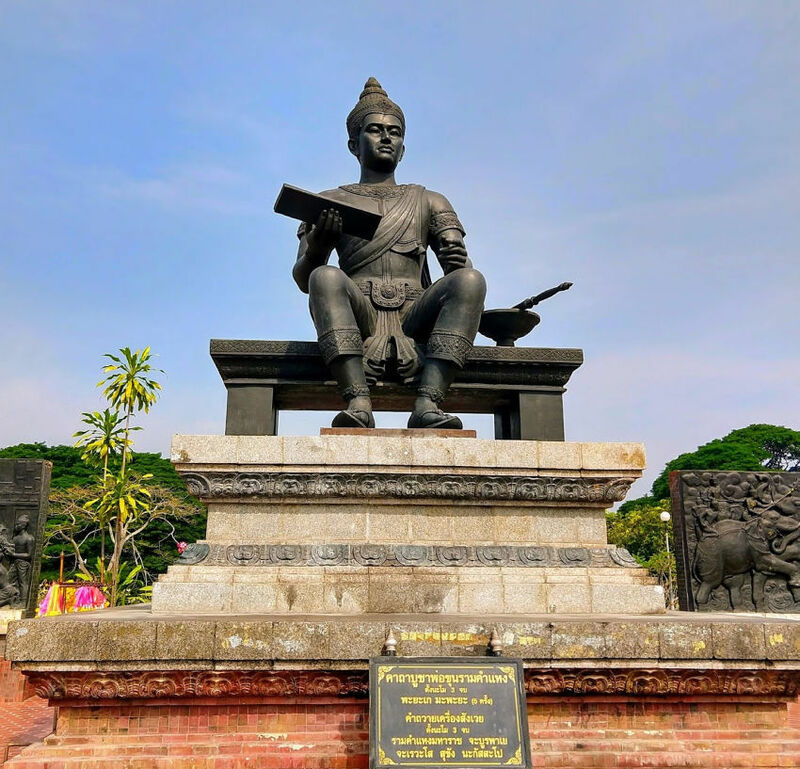 Multiple wars were fought back and forth to recapture Chiang Mai but it wasn’t until 1774 when Chao Kawila of Lampang and Phraya Chaban of Chiang Mai sided with the Siamese That the Burmese lost control of the city. Chiang Mai’s ancient walls were made the same year as the city itself in 1296 and were designed to appease divine spirits. Wat Chiang Man is Chiang Mai’s oldest temple, it was made in 1296 the same time as the founding of the city itself. The elephant chedi below contains a hair of the Buddha. On the left is that larger of the two Viharns and on the right is the Elephant Chedi at Wat Chiang Man Buddhist Temple. 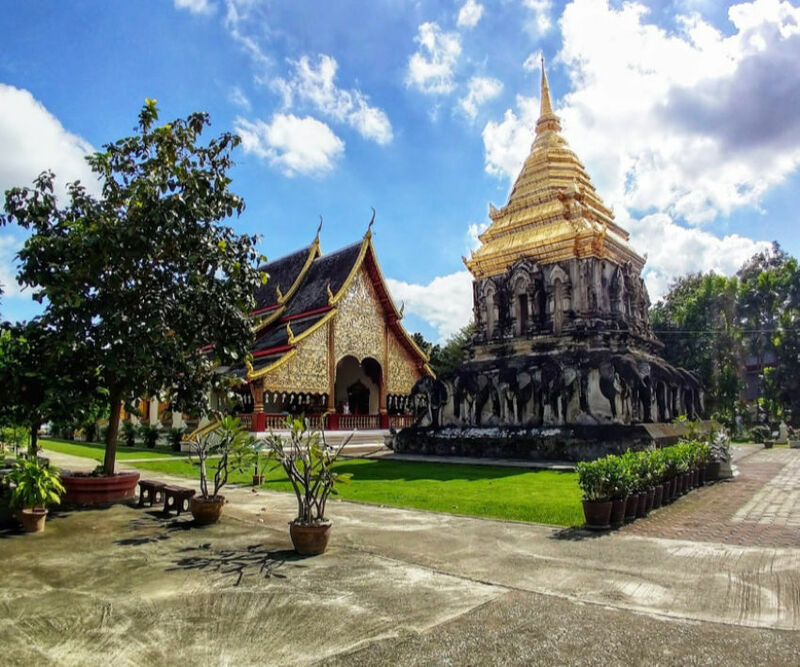 This is the oldest temple at Chiang Mai and was built in year 1296 and by King Mangrai, one of the three Kings of the monument. Above Chiang Mai, Doi Suthep is a popular tourist attraction, however the temple on this mountain is not as old as Chiang Mai itself. Doi Suthep is not the name of the temple but rather the name of a mountain with Wat Phra That Doi Suthep located upon it. It is a Theravada Wat located in Chiang Mai Province and was constructed in 1383. Theravada Buddhism is another type of Budhism and was established by King Ramkhamraeng who was one of the three kings. There is a legend that explains the construction of the temple, called the White Elephant Legend. In the legend a monk from the Sukhothai Kingdom was visited in a dream and told to come to Pang Cha in search of a relic. Upon reaching Pang Cha the monk found a shoulder bone with anomalous properties including glowing and vanishing. The bone was considered to be that of the original Buddha, Siddartha Gautama. If you are interested in Siddartha Gautama, Lord Buddha. I have been to his birth place and you can read about that here in our Lumbini Nepal post. When the monk returned to King Dhammaraja the ruler of Sukhothai the King Declared a Ceremony and made offerings but the Bone did not display any of its abilities and the King let the monk keep it. King Nu Naone of Lan Na heard of the bone and instructed the monk to bring it to him, once the monk reached the king the bone snapped in two. One piece was entombed at Wat Suan Dok (also in Chiang Mai) while the other was placed upon the back of a white elephant that was sent into the forest. the elephant climbed Doi Suthep and once it had reached the mountains peak it trumpeted three times and fell dead. The king took the hint and commanded the erection of a temple at the spot. This is the Doi Suthep Temple. Lampnag today is the third largest town in northern Thailand and is capital of Lampang Province and Lampang District. Lampang was part of Hariphunchai Kingdom. The Lanna Kingdom, also known as the Kingdom of a Million Rice Fields was located in northern Thailand from the 1200s all the way through to the 1700s (13th century to 18th century) . It was an Indianised State, this meaning that it was heavily influenced by Indian culture and religion. The capital was moved around a lot by King Mengrai. Chiang Rai was made capital in 1262 later. Later in 1296 King Mengrai changed the capital to Chiang Mai. Phayao Kingdom, City and Province. Phayao Province is one of northern Thailand’s Provinces today and was founded in 1096 as a small city state kingdom. In the 1200 s Phayao became important enough to gain equality with the Lanna Kingdom as well as Sukhothai Kingdom. Phayao was conquered in 1338 to become part of Lannathai. While the Burmese held dominion over Lannathai, Phayao City was deserted. Then during 1897 Phayoa was added to Chiang Rai province. After 1977 Phayao became its own province and separated from Chiang Rai. Today Phayao Lake is famous for its submerged temple. This temple was built in 1476 and submerged with the creation of the artificial lake in 1939, the temple itself is call Wat Tilok Aram. We visisited Phayao Lake on our northern Thailand road trip. This statue depicts King Ramkhamhaeng and sits near the center of Old Sukhothai. The King is credited with the invention of the Thai written language. The Sukhothai Kingdom was a kingdom that revolved around the old city of Sukhothai. The current city of Sukhothai Thani is 12 km west of its ancestor. King Mengrai was Ruler of lanna and founded Chiang Rai as well as Chiang Mai, he died in 1311 in Chiang Mai. King Ramkhamhaeng was ruler of Sukhothai the person who established Theravada Buddhism as one of Thailands main religions and also played his hand in the creation of the Thai alphabet. King Ngam Muang was ruler of Phayao and died in 1296. 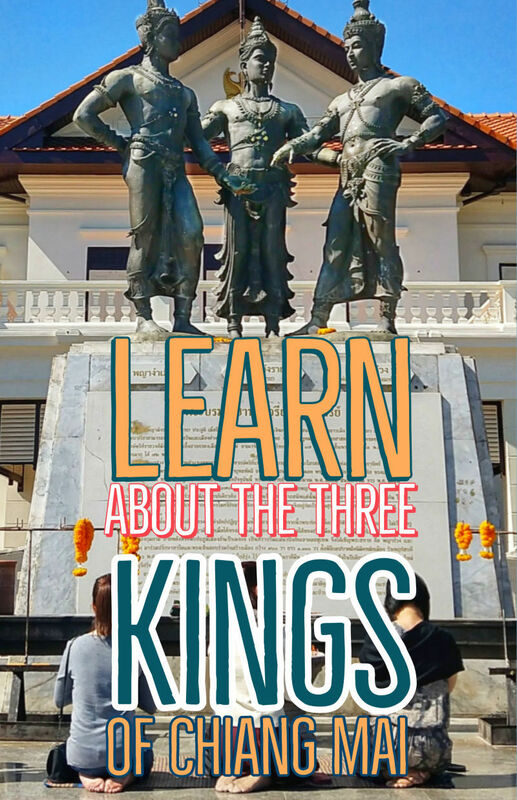 Those are the Three Kings of the famous statue in Chiang Mai and a few facts about Chiang Mai and Thailand’s history. I hope you found it interesting. Epic! Interesting read. Well done,D. Definitely a masterpiece.